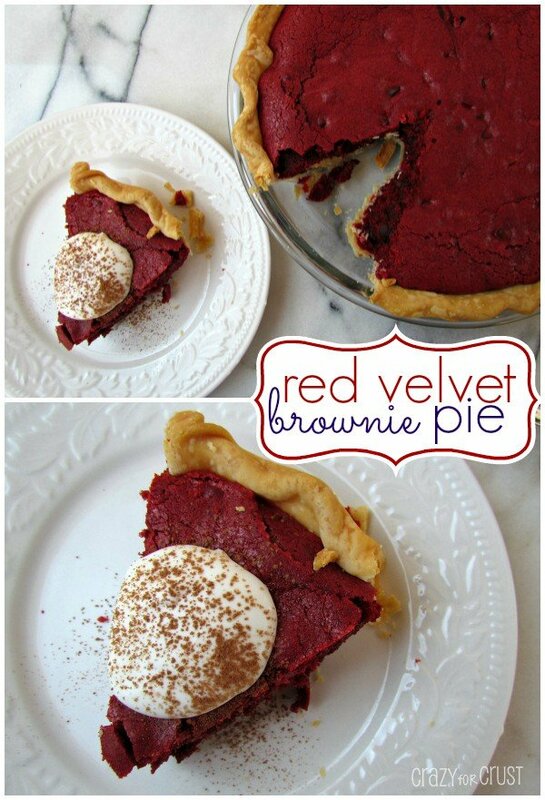 It’s time for all things Red Velvet! 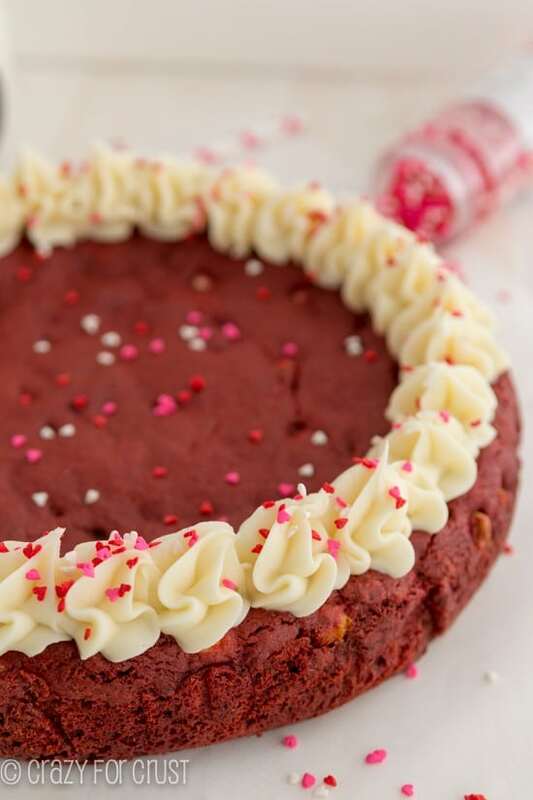 This Red Velvet Cookie Cake is so easy, so good, and so perfect for Valentine’s Day! So it’s January 16. Two weeks into the New Year. And I’ve been chomping at the bit to get started with Valentine’s Day! 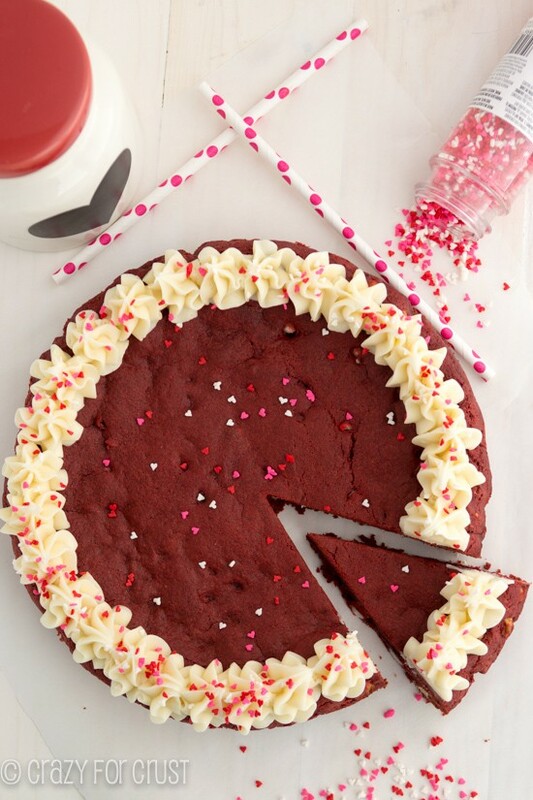 It’s all things pink and red and cute and red velvet time! As much as I’ve been dying to break out the pink sprinkles, I’ve hit a total “cute” Valentine roadblock. Last year I made some candy buttons all prettied up for the big day. But I cannot think of anything cute to make this year! 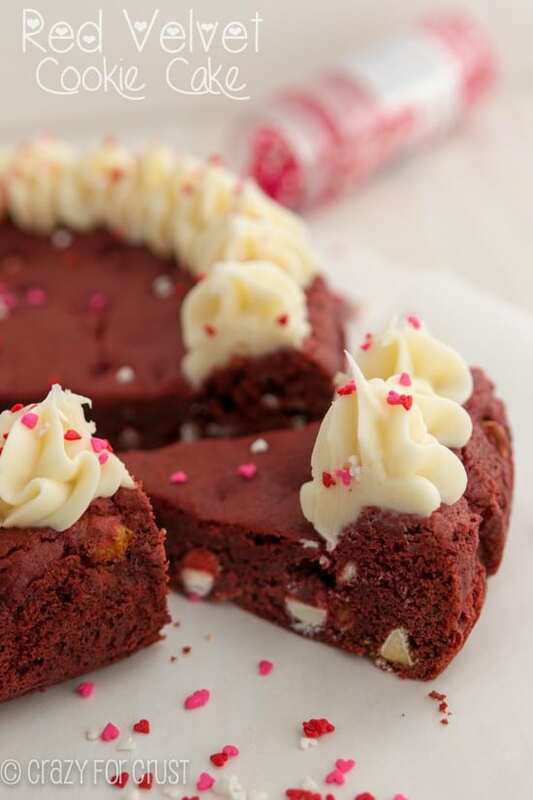 So, I’m falling back on my default for Valentine’s Day: Red Velvet. It’s just so pretty, especially with pink and red sprinkles. It just makes me want to go hug someone. I mean, I just want to stare at these pictures all day. Don’t you? 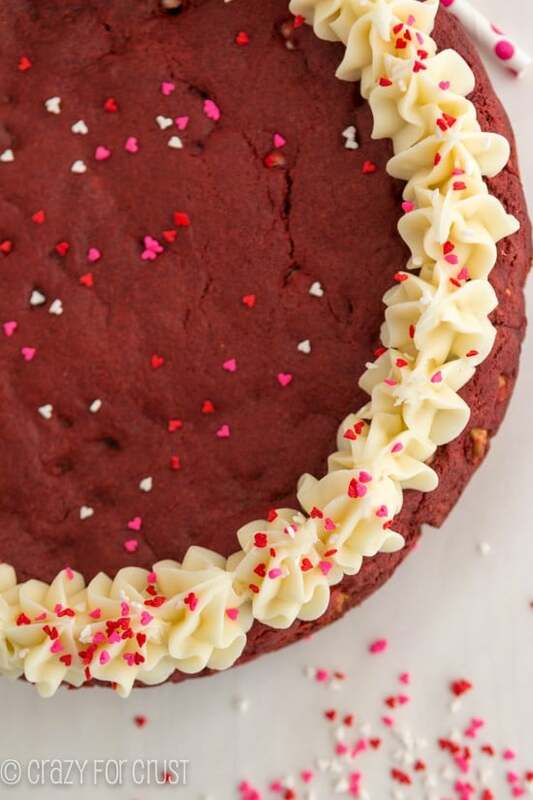 This version of cookie cake (my new favorite thing to make, BTW) is Red Velvet. It starts with a cake mix. One reason I love cake mix red velvet way more than scratch red velvet? The dye. OMG. Do you know how much one ounce of red food coloring is? And did you know that Newton’s (somewhat hush-hush and previously undiscovered) Fourth Law of Motion is that food coloring is not allowed to go where you want it too? That’s why when you pour an ounce of red food coloring in a bowl, it ends up on the counter, in the sink, and all over your hands. Cake mix has red food coloring already in it. That’s 1,000 less frustrating sponge moments for me. 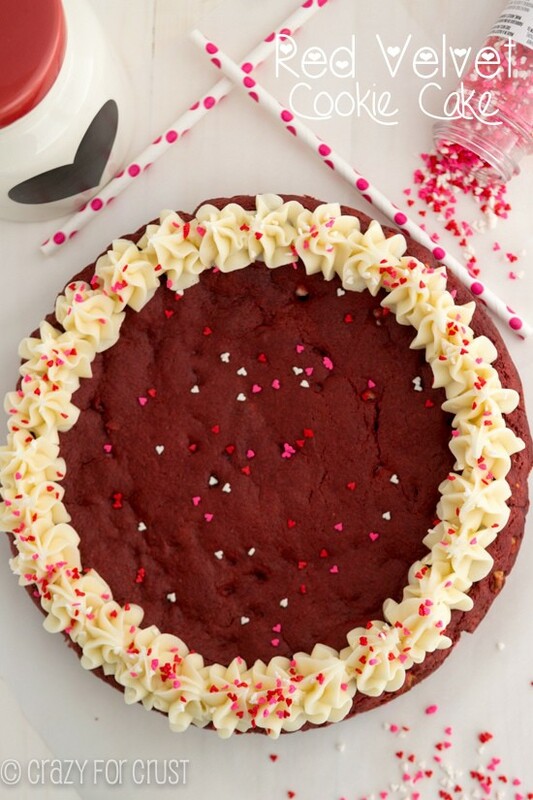 So you bake up a red velvet cake mix cookie-style. Then you add white chocolate chips. They’re super pretty inside! 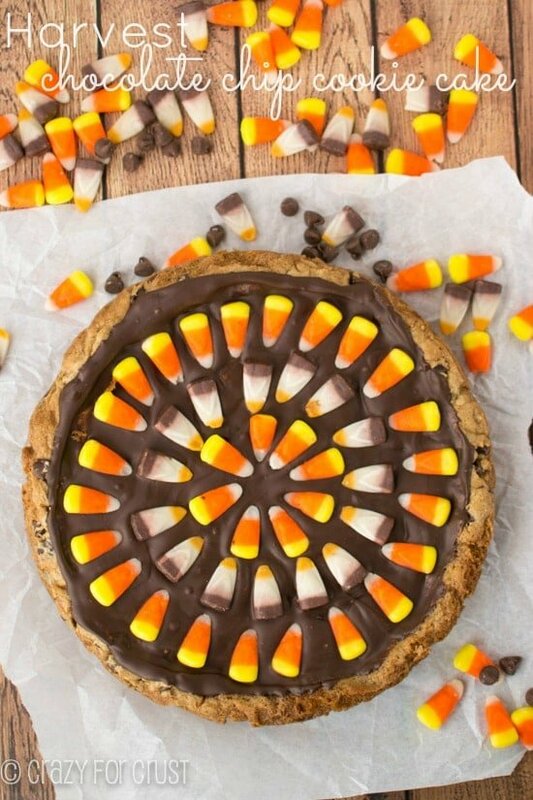 Then you bake it in a 9″ cake pan. It fits…but it gets big. A big cookie cake = win in Dorothy’s book. And well, heart sprinkles. They just up the cute factor about 100%. Preheat oven to 350°F. Line a 9” cake pan with foil and spray with cooking spray. Using a stand or a hand mixer, beat butter until smooth. Add cake mix, eggs, and vanilla extract and beat until dough forms and no lumps remain. Stir in white chocolate chips. Press cookie dough into prepared pan. Bake for 23-25 minutes, until a toothpick comes out with just a hint of red. Make the frosting: beat cream cheese and butter until smooth. Slowly add powdered sugar and mix until the frosting comes together. Mix in vanilla and heavy cream. 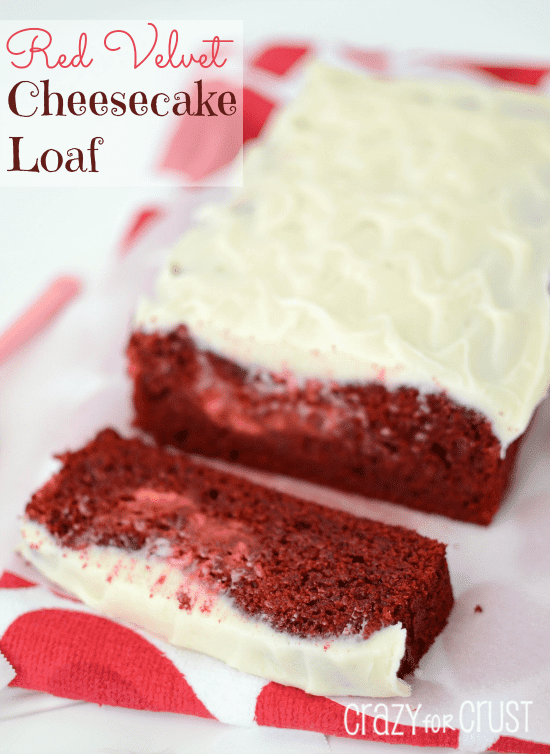 The cream is optional, but gives a great richness to your frosting. Pipe frosting onto cookie using a round or 1M tip. Sprinkle with colored sprinkles. This cookie is very thick. You can use a 10” round pan or use 2-9” pans for a thinner cookie. I made this tonight for the Ohio State game and everyone loved it!! It was yummy and so easy to make!! Thanks for a great recipe that I’ll make over and over! Oh, I’m so glad they liked it! Yay! Thanks so much! This was such an addictive treat! Thank you so much for sharing the recipe. On a side note, it was really hard to find the recipe because I couldn’t find a search function.